⭐ COMFY yet SUPPORTIVE RESILIENT FOAM foundation at a height that leaves ROOM FOR YOUR KNEES under the desk, and WILL NOT WEAR OUT OR DEFORM with daily use. 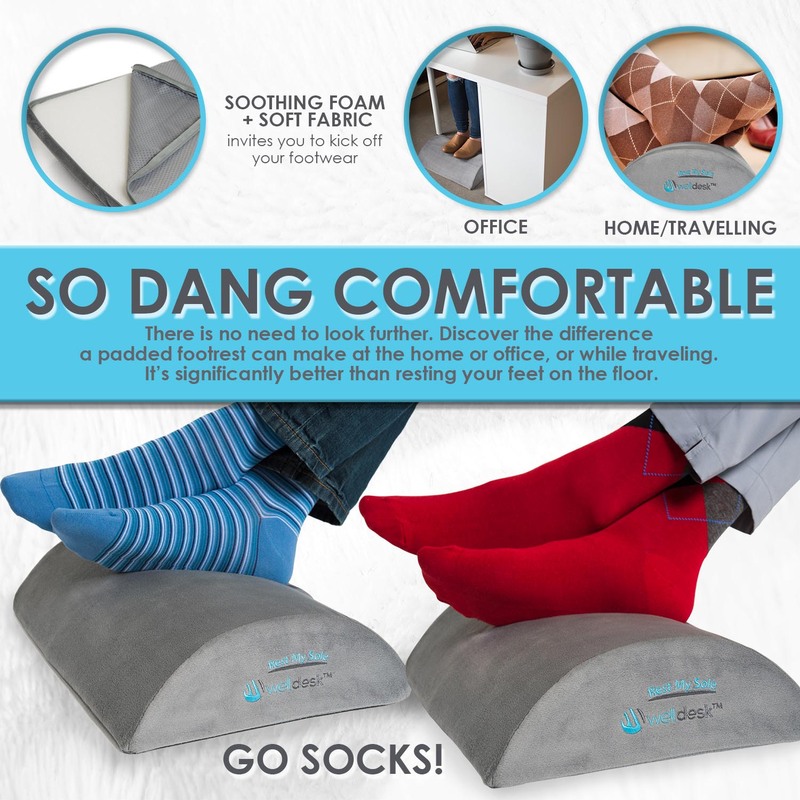 ⭐ SO DANG COMFORTABLE: There is no need to look further. 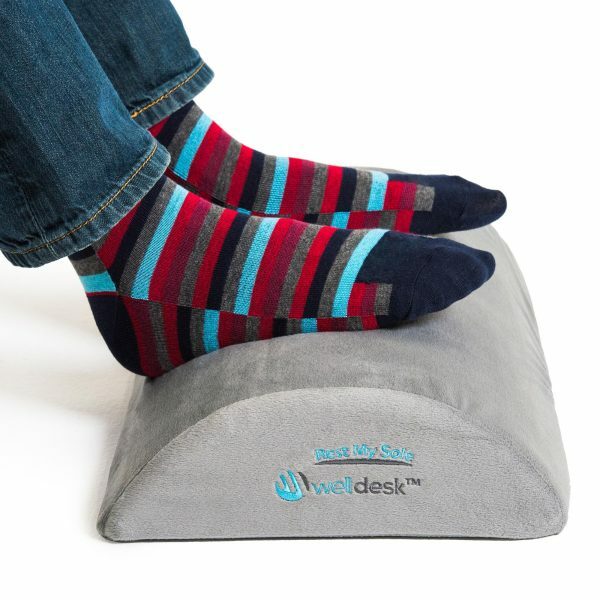 Discover the difference a padded footrest can make at the home or office, or while traveling. It’s significantly better than resting your feet on the floor. Though tough enough for shoes, the SOOTHING FOAM + SOFT FABRIC design invites you to kick off your footwear to enhance your experience. Go socks! ⭐ YOUR HEALTH FIRST: Easily make health and productivity a priority, even while sitting at your computer desk. Enjoy RELIEF from LEG and BACK FATIGUE with improved leg and spine alignment. 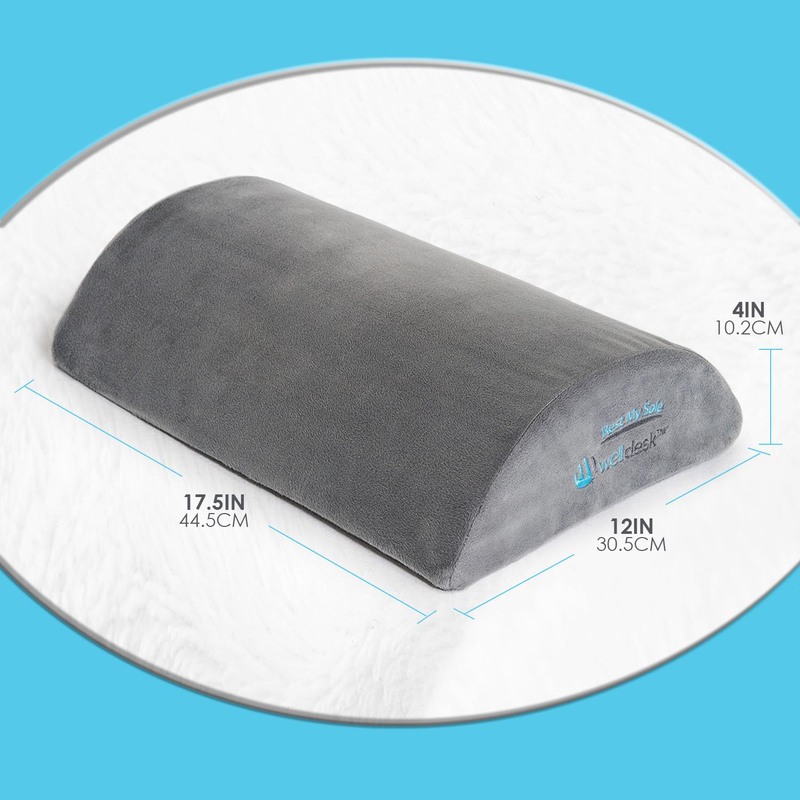 Our ergo foot rest pad also elevates the legs to promotes BETTER CIRCULATION. Pro-Tip: Flip the curved surface down to enable ACTIVE SITTING and keep your feet moving all day long. Rock on! 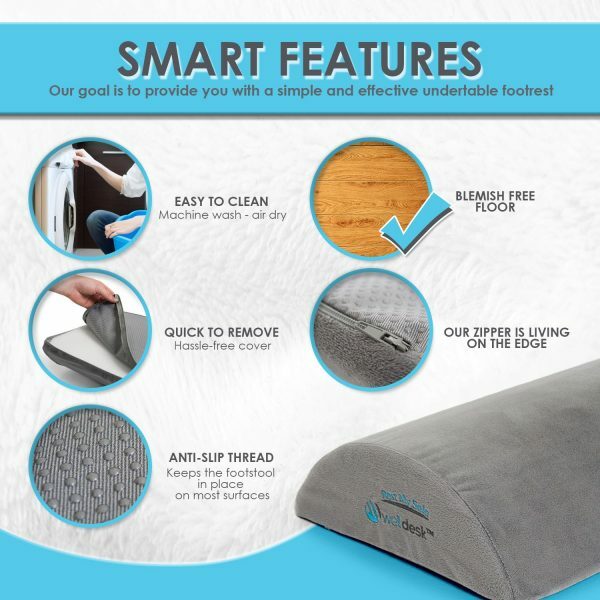 ⭐ SMART FEATURES: Our goal is to provide you with a simple and effective under-table footrest. 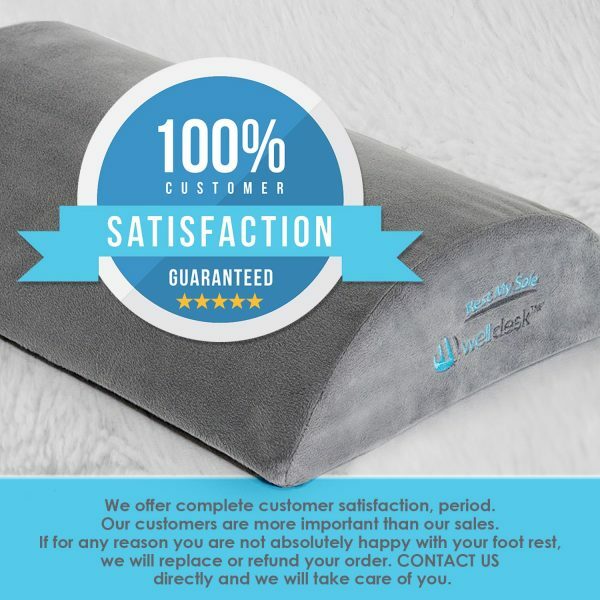 The ANTI-SLIP tread underside keeps the footstool in place on most surfaces. The hassle-free cover is QUICK TO REMOVE and EASY TO CLEAN (machine wash – air dry). While other footrest cushion zippers slide on and scratch your floor, our zipper is living on the edge to keep your FLOOR BLEMISH FREE. 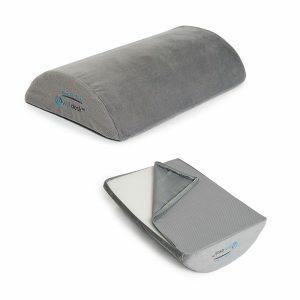 You Need – A simple and comfortable fix that improves your daily sitting experience in ways you didn’t anticipate. Imagine yourself actually looking forward to feeling better and enjoying the experience of sitting in front of your computer. Comfort that Works – We have experienced exactly the same frustrations in our own work settings. Our Desk Footrest cushion was designed explicitly to address both the physical positioning of your legs and back, and also the satisfaction of a resilient foam platform that blends the perfect balance of support and comfort. Kick Off Your Shoes! 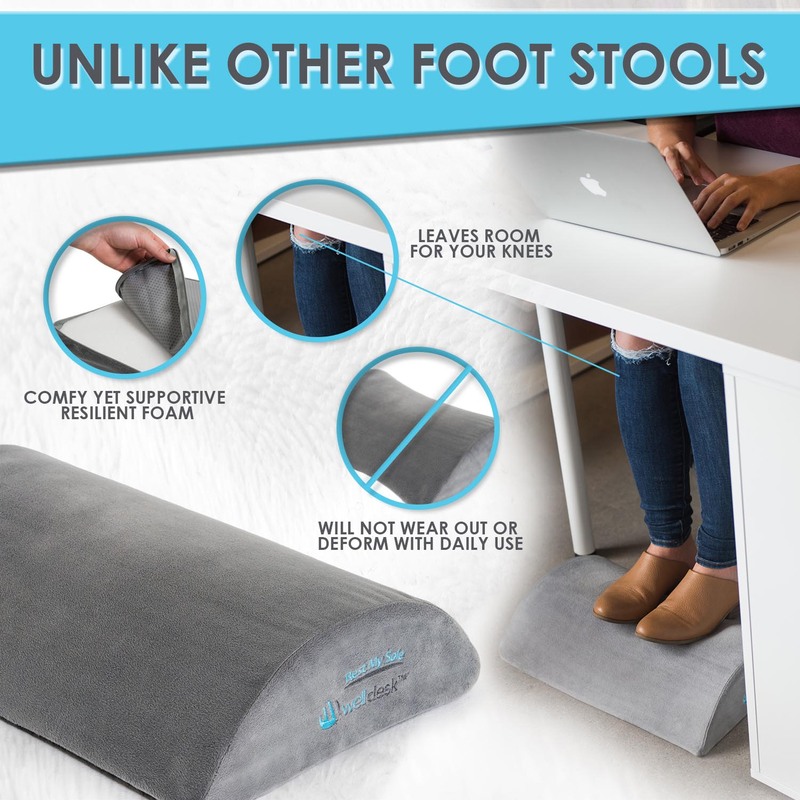 – While our Desk Footrest cushion is certainly durable enough for shoes, why not kick those clunkers off and take it to the next level? Your feet will thank you. Bonus – Now you get to show off those fashion forward socks of yours. 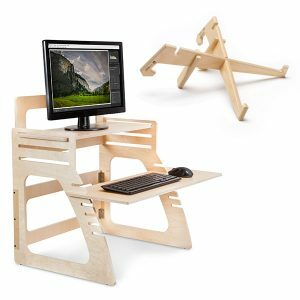 Improve Circulation – Sitting limits physical activity and creates problematic pressure points under your legs due to your chair’s geometry — even if you use an “ergo” chair. Both of these factors can lead to to poor blood circulation. 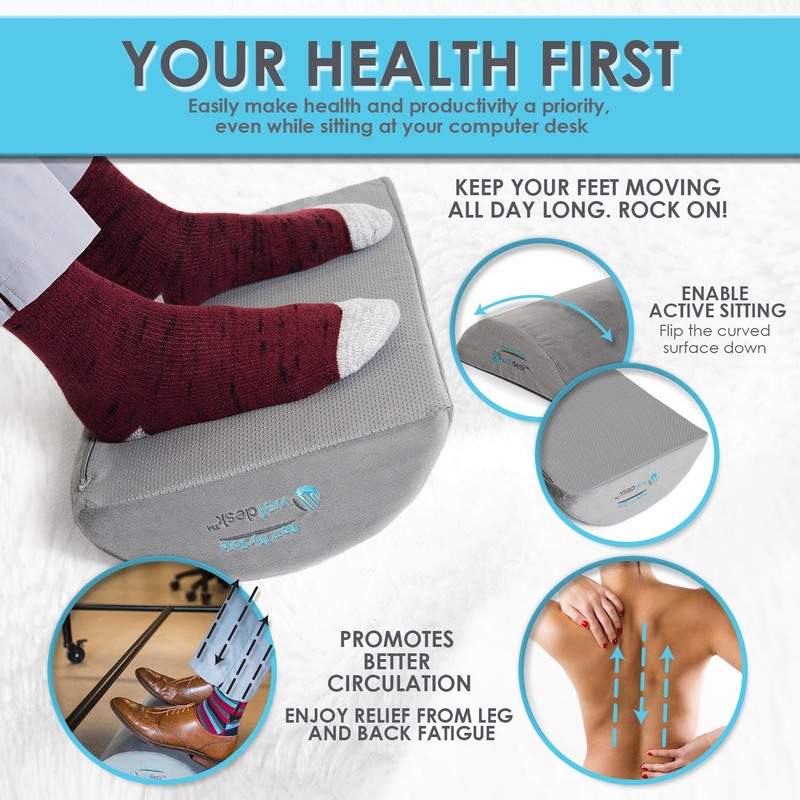 Keeping your feet elevated on a quality foot rest can greatly reduce your chances of developing circulatory conditions. Eliminate Back Pain – Prolonged sitting and poor leg and foot positioning puts increasing strain on your lower back. A proper footrest allows you to sit all the way back in a chair and avoid the all-too-tempting slouch.